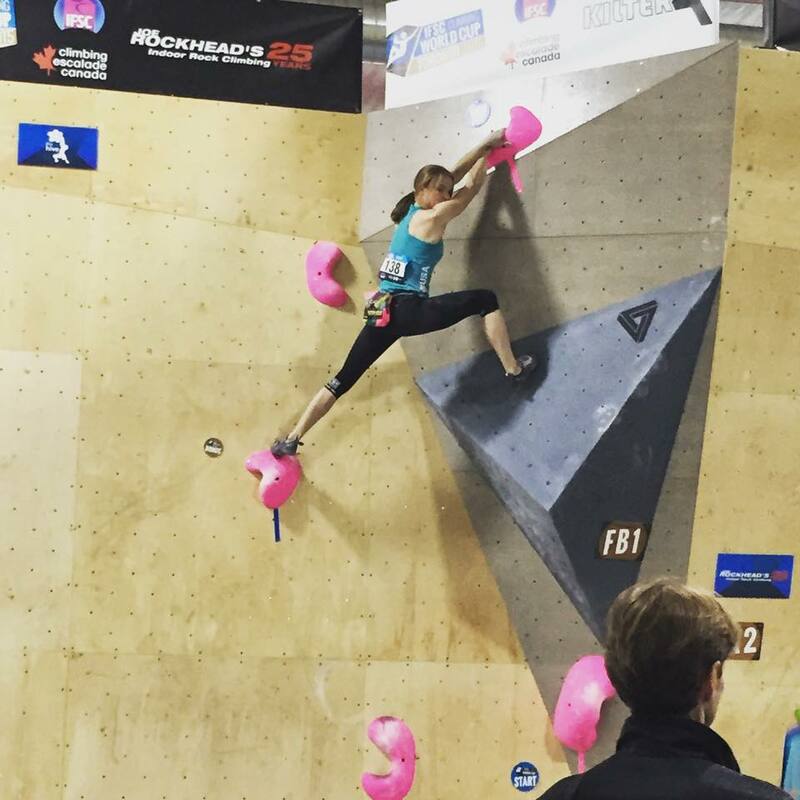 There’s a new company on the Big Hold Company List – Namaste Climbing from Houston, Texas. You may recognize the Prinz logo from Bomber Holds. 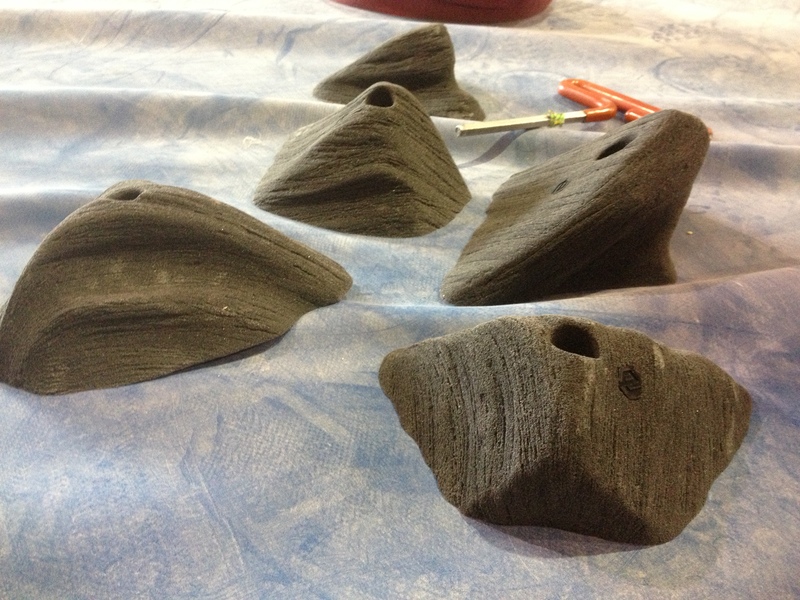 Prinz bought the shapes and the logo from them and began shaping and pouring a bunch of new shapes as well. 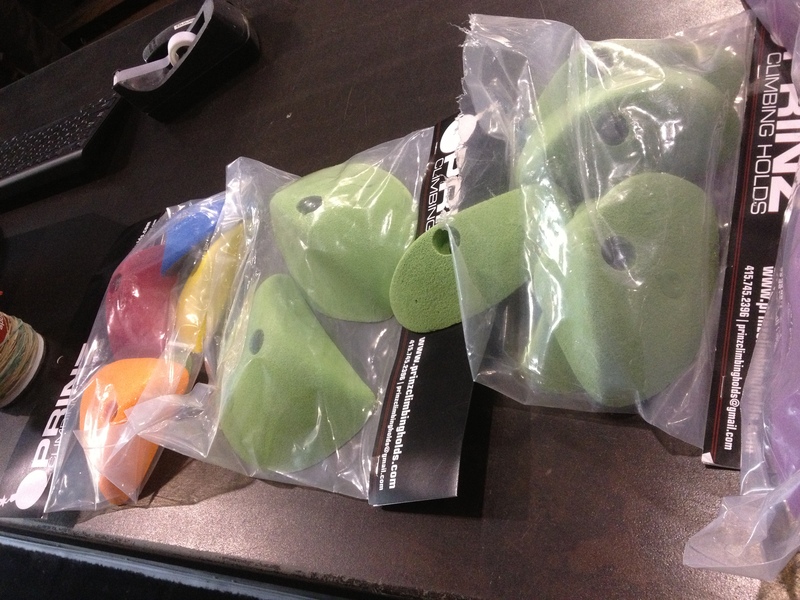 Owner Ryan came around Boulder with some samples for all the gyms to check out. 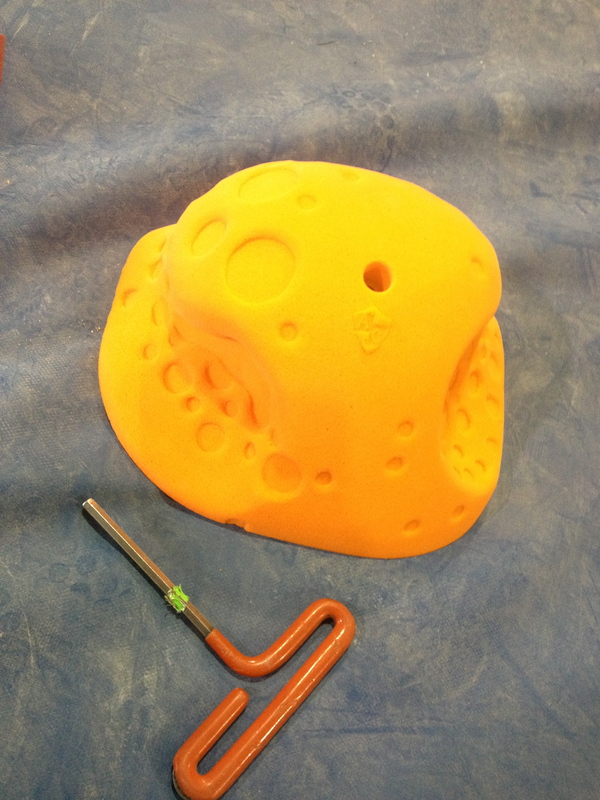 He gave us a sample pack, plus I talked him into giving us a couple of edges and slopers and two bigger holds, a large blocky pinch and a mega sloper, to test. A little bit of everything! The standard sample pack is 5 different holds and you can order one off the Prinz website to check Prinz out for yourself. This review is in a slightly different format than the others as we started writing it a while ago. We really wanted to see how the holds held up over time and that is part of the reason for the delay. Thanks to Ryan for his patience in waiting for this review to come out! 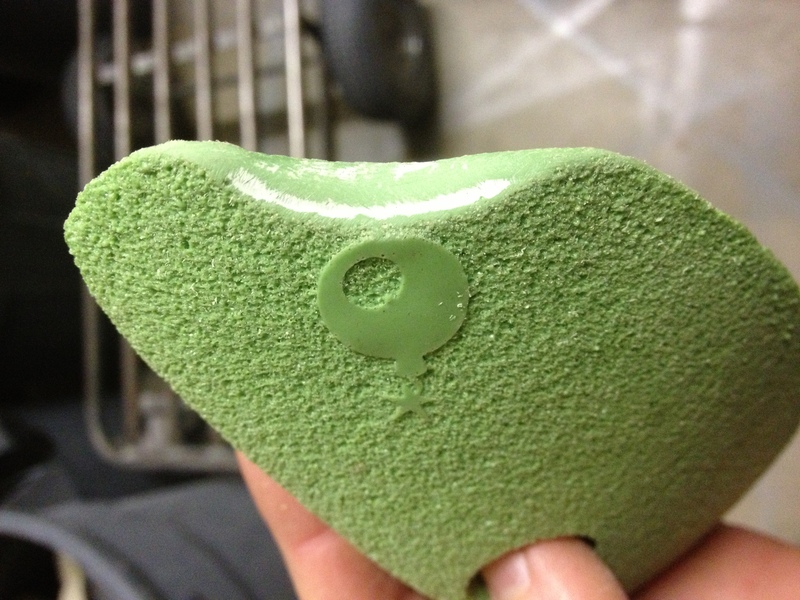 Ryan knows how we break everything at The Spot and he was anxious to find out if his mix would break. Upon first glance I said yes, it definitely would break, but he challenged me to break one so we took one of the samples and proceeded to abuse it in all the ways we normally abuse holds here at The Spot. Shorn plastic. Not brittle-explody plastic. 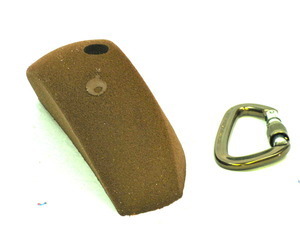 Pretty good break, didn’t interfere with the integrity of the hold, and it was easy to sand into a thumb catch. UPDATE: It’s now been broken like this for over a year and still works great. Sadly I can’t find a picture of this, but we took the hold and put it across the most concave section of wall we could find, then tightened it down. 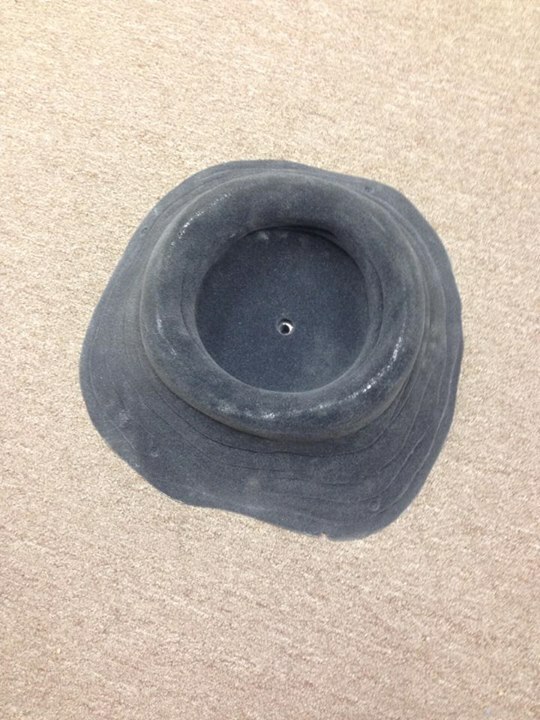 Surprisingly, the hold flexed into the concave without breaking. I loosened it and did it again. Same result. Impressive. The edge of this one has got a bit polished over time, but since we’ve got a vinyl-topped floor it seems all our holds are falling victim to this. The hold still climbs fine and, again, we’ve got holds from every company doing this right now because the vinyl topped floor means more dust and people don’t clean their shoes. Sigh. We definitely feel that Prinz is strongest in its larger shapes. 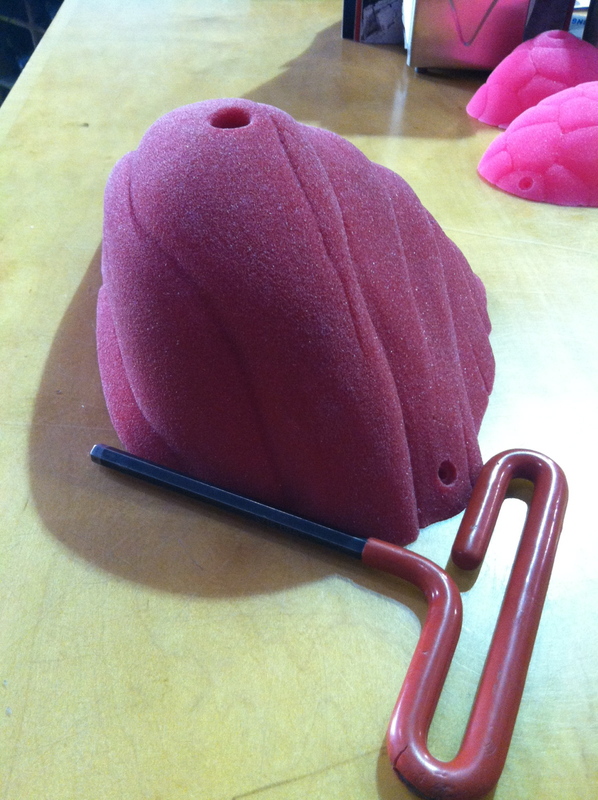 Of the holds we have, the big yellow pinch is a joy to use and the huge purple feature is one of my top 10 favorite holds. Big Pinch! Ours is yellow. The Big Pinch #88 is basically a large (comparatively, the size is between XL-3XL depending on the company) square cut pinch with a twist–it’s a bit of a sloper on one side and quite a jug on the other and it isn’t perfectly straight so you can use it in a variety of ways and it’s easy to tweak to make it harder or easier. 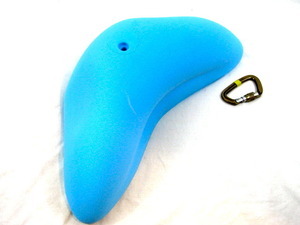 The Pinch is quite comfortable and makes a good hold for any grade of route depending on how it is used. We’ve underclinged it, mantled it, jumped to it, flipped it, etc… A popular hold that we could easily use more of, and is definitely worth the $$. The Grip on Prinz’ site. Our Grip is purple and we love it. The main feature is basically a big slopey edge that is pretty good once you get onto it but the large rounded bulge makes it hard to hit properly. Upside-down the volume makes a cool 3-angle sloper/pinch. It’s comfortable, fun to use, challenging, looks great, and has held up fantastically. A very solid hold. 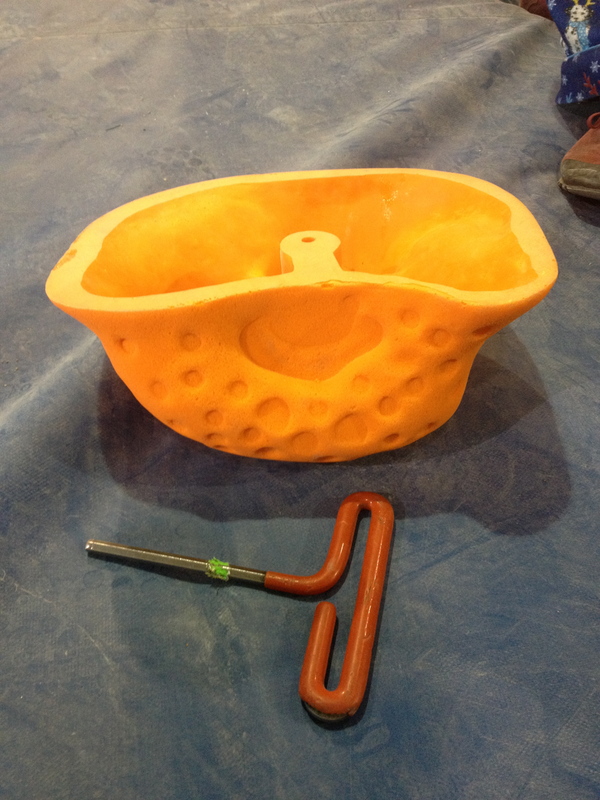 We keep finding new uses for this thing and we want about 3 more and think every other gym should get some too. 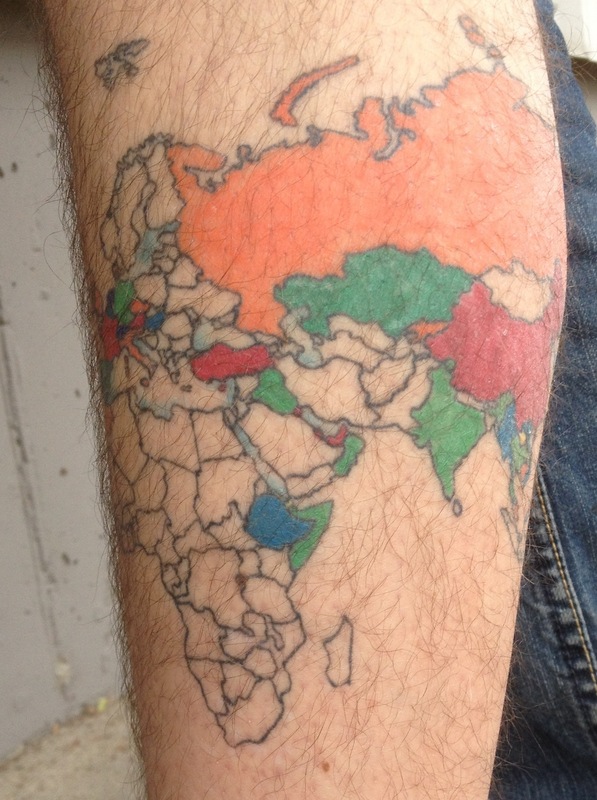 One more cool thing about Prinz–Ryan has this tattoo on his leg with all the places he’s been in the world filled in. 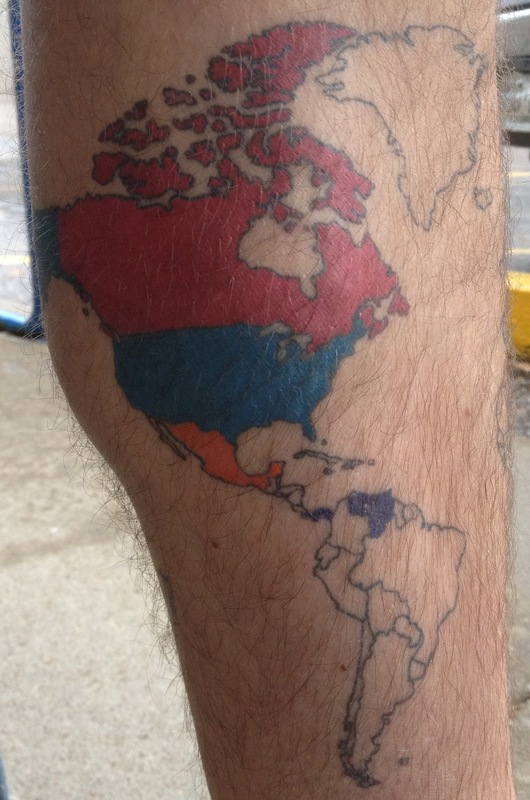 He’s got a way to go still, but I think it’s pretty sweet! You can get all holds with bolts or bolts + t-nuts if needed. 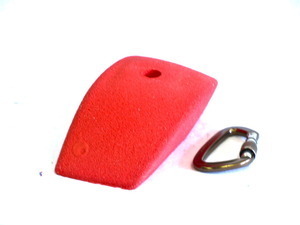 Large variety of weird small crimps and feet which are perfect for home walls and for mixing it up in a gym where customers are too used to a certain style of shape. Potential spinners have pre-recessed screw points. The features are really cool. The Prinz website shows most of their holds in 90’s multicolor. It makes it a little hard to tell what’s going on and we recommended using solid colors in the future, which it seems Prinz has been moving towards. For ordering, it’s no issue to get whatever color you want. 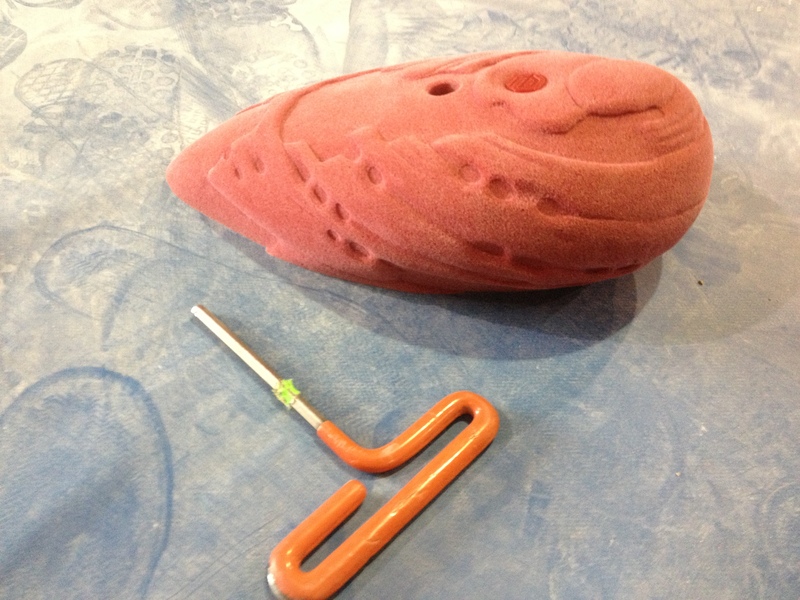 Some holds are martini or mixed bolts/screws. 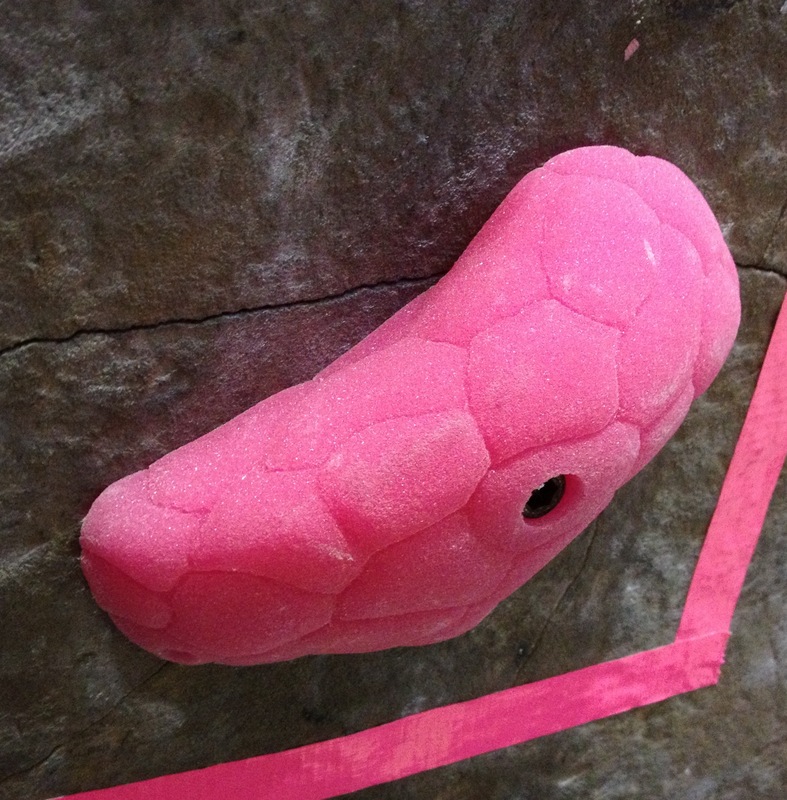 We think their newer shapes are better than their old shapes and we can’t wait to see what other features and new holds they come out with next! Prinz has recently lowered prices making them one of the more affordable brands on the market. Prinz offers gyms a 25% discount and offers free shipping to all domestic (in the continental US) customers–meaning gyms and retail customers can easily figure their total cost using the website. 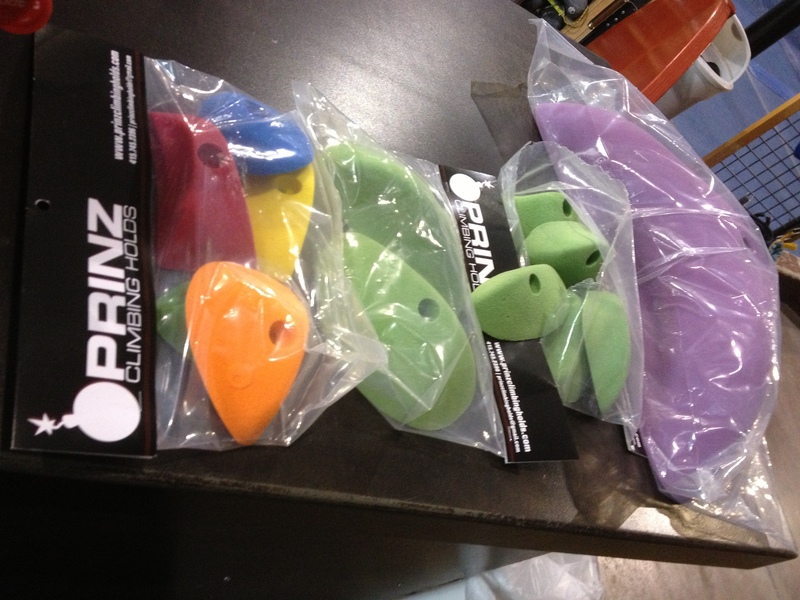 Prinz makes some great big features and for their smaller holds you’ll want to pick and choose depending on your needs. Perfect for wood walls and surprisingly able to stand up to the abuse meted out at an uneven concrete-walled gym like The Spot. 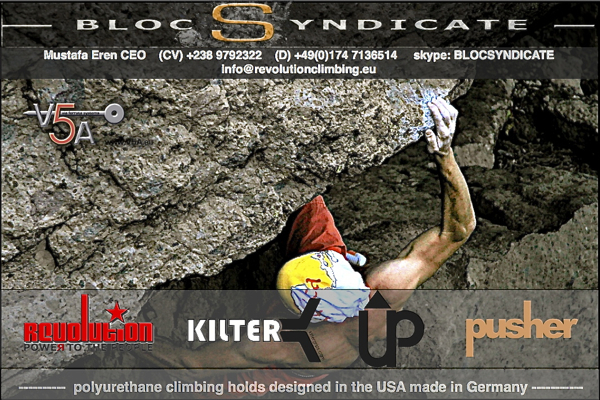 Ryan is a nice guy who cares about climbing, and it’s worth supporting this small company with an order. So that’s it for now with the Prinz Review. Go check out their features and make sure to get yourself The Grip! 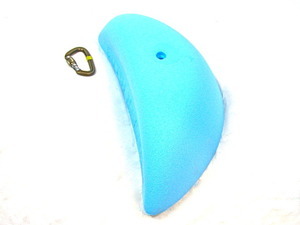 The holds are poured by Element Climbing. 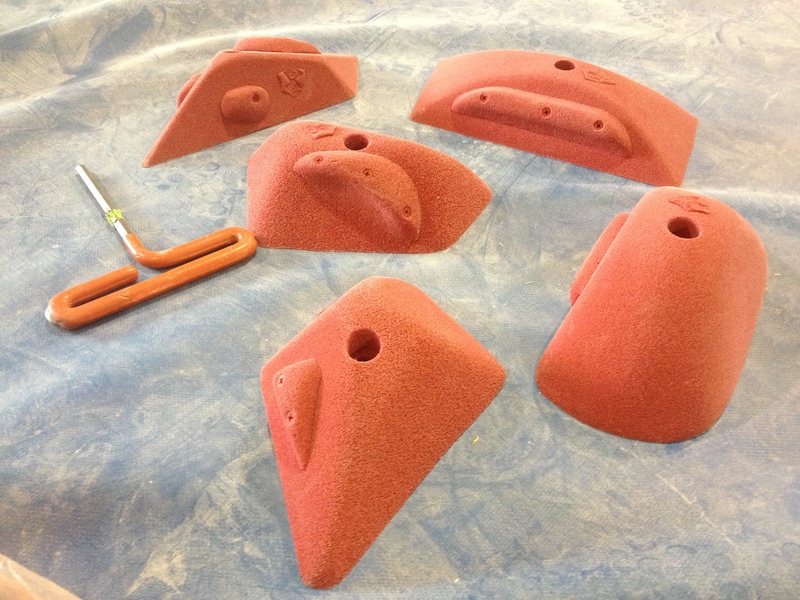 Element has a solid mix with high-quality texture that has been holding up great with all the holds we’ve gotten that were poured by them (Element, Enix, and Capital) so we feel comfortable ordering from them. We haven’t had any polishing issues thus far. Their colors are great and this green in particular is a favorite–it really pops! The Small Clasts are comfortable rounded edges. These little holds are some of my new favorites. Nice, comfortable, slightly incut rounded edges that make good gastons and side pulls. The artistic touches are well done and add visually to the shape. The smallest of the 10 is a little smaller than I’d like it to be in that you load 1-2 fingers instead of three or all four like the rest of the set. This is fine, probably good for creating options, but it just isn’t as comfortable as the others. The edges of the holds are a tad soft so if you rub them together you can dent the edges a little, so we were worried at first. We got them in the late fall and six months later they are holding up great and we haven’t had any quality or breaking issues. 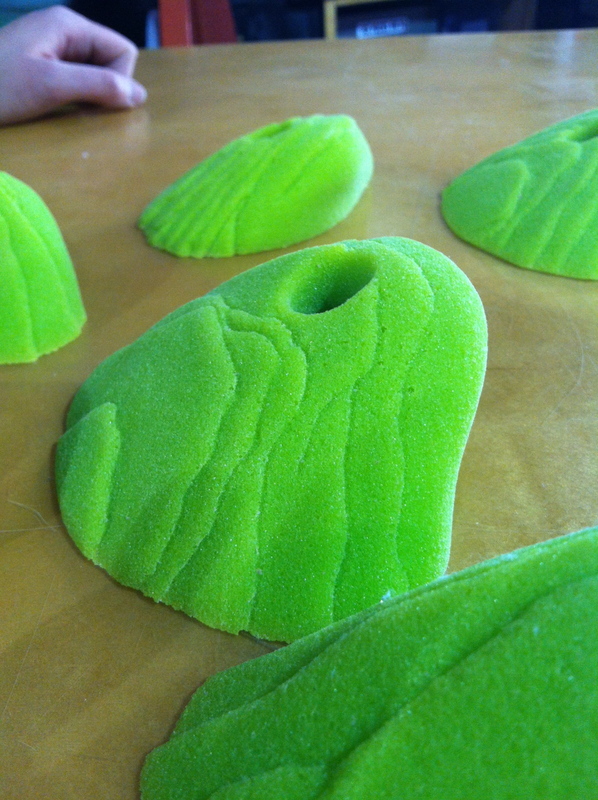 Fun blob slopers with Fontainebleau-style detailing. 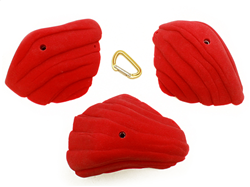 Good shapes, useful for pressing problems and good for pulling on as well. 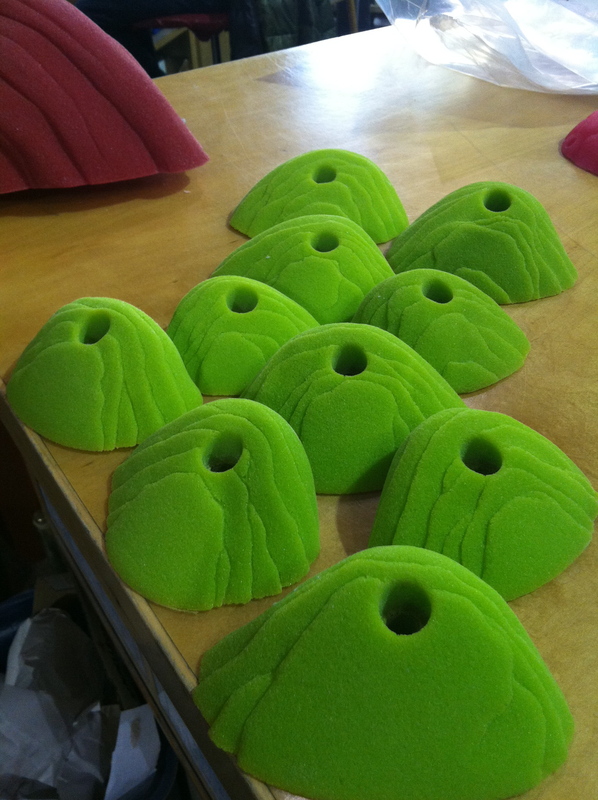 Nice sloper and slopey pinch set. Like the Clasts, these Font Slopers have soft edges. Also like the Clasts, it hasn’t been an issue in the 6+ months we’ve had them. The cuts between the font texture are narrow and deep. I think it’d be nice if they were a bit smoother and shallower, like the actual rock, so the texture was a bit more useful for the climber. The sharp lines don’t affect your climbing experience negatively at all, but a bit smoother in the lines could give you more of the texture he was probably going for here. Side view. Can’t find my “on the wall” shot of this one. Will update when I find it. One of a set of 3XL features. 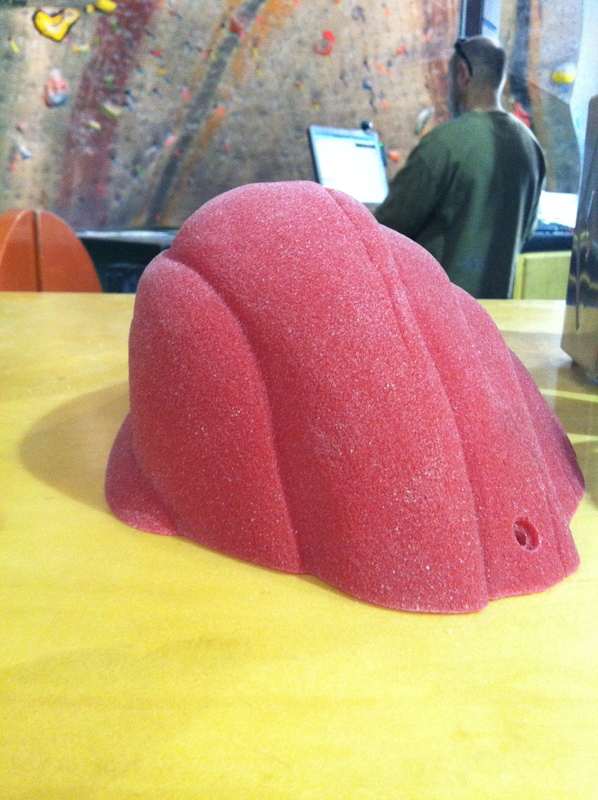 A big, comfortable, moderate sloper feature with rounded edges. We’ve got nothing even slightly negative to say about this hold. It’s amazing. The other two probably are as well. Here’s a picture. Buy them. A very professional first offering from Capital. 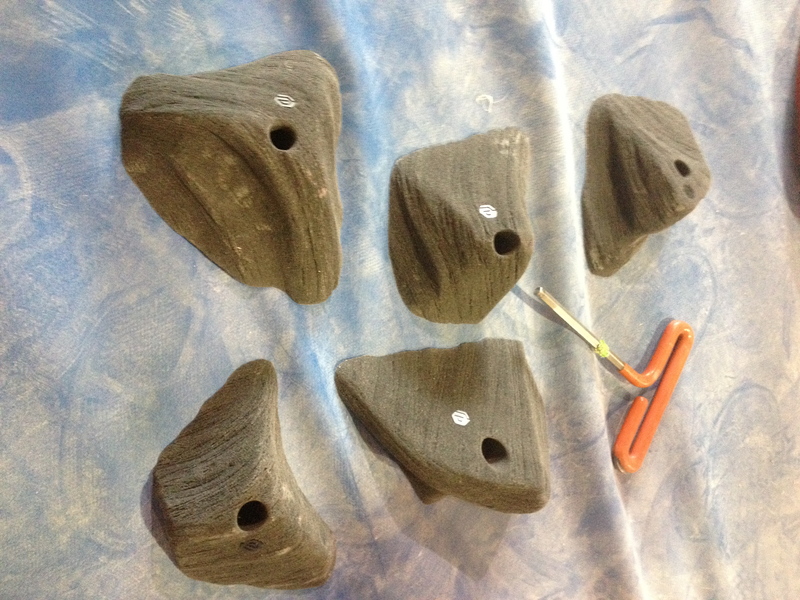 The holds are top quality in design, texture, and material, and we can’t wait to order his Barnacles and other sets. 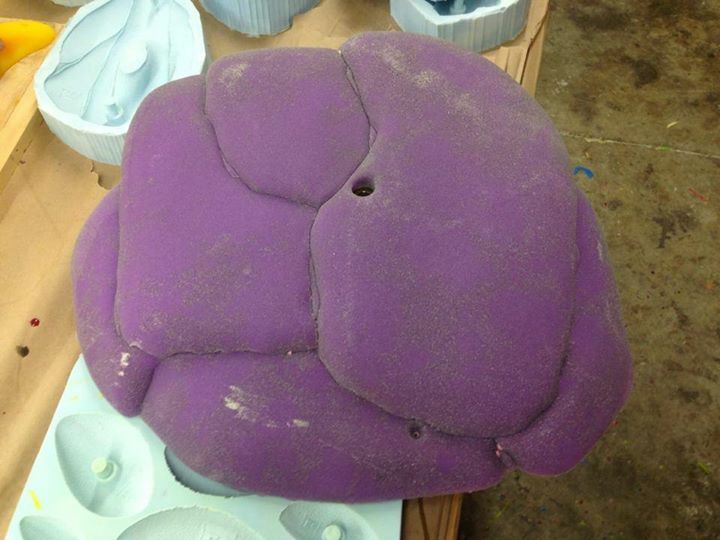 Chris Neal is constantly shaping, and he clearly is a foam whisperer. We are very excited to see what he will come up with next! 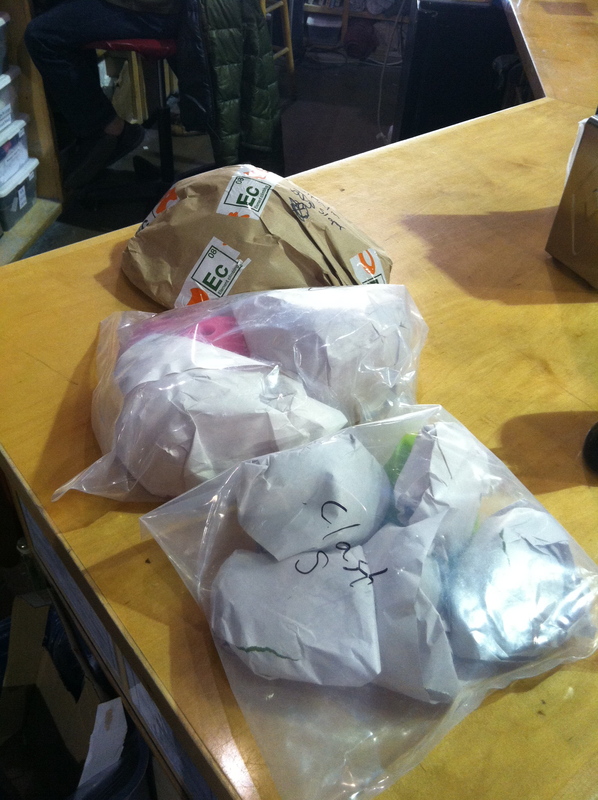 This is a seconds pile. We don’t have any of these, but they all look great and we’re looking forward to getting some soon. The big Fonts look like he worked out the seams a bit more and they look like they’ll feel amazing. We can’t wait to get the rest of the Clast line! And check out those Barnacles! 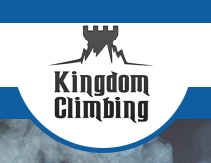 Like Capital Climbing on Facebook to see all their newest shapes! This is a cool feature. It’s comfortable and cobble-like, but with detailing that makes the grip unique. Connor set an Advanced (red tape) problem on the front font arete with these. Check it out and let us know what you think! The hollow back seems good and the hold is cool. Danny put it on an advanced problem on the left river and it worked very well as a hold you could grab the top of, undercling, then throw a heel on. A nice feature for beginner – advanced problems. The boys were pretty skeptical about these, because they’re a bit of a gimmick. They basically have jibs molded onto them. 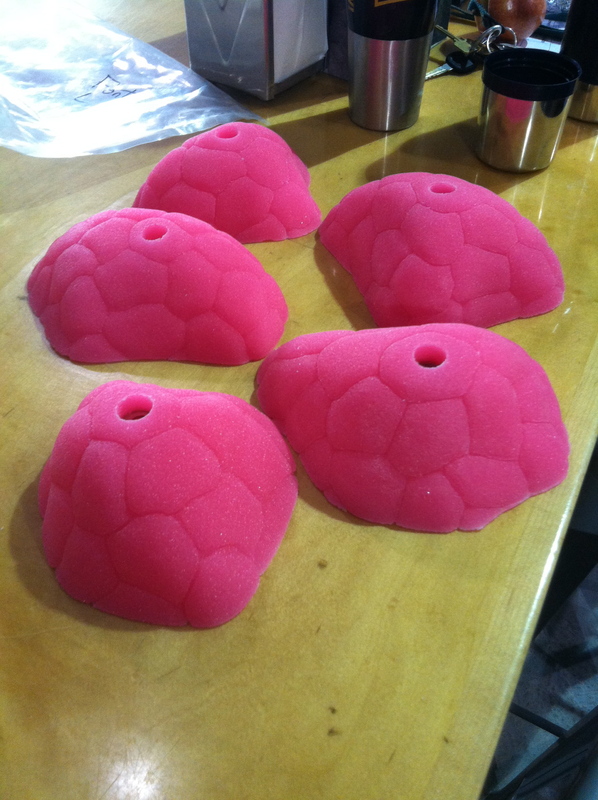 The boys felt the holds without the jibs were cooler and then setters would have the option to add the jibs if they wanted them. Ian Powell and I think these are cool, a bit different perhaps, but they work. I do also think that the boys are right, the pinch on the right especially would be sweet without the jib on it making it into a jug. It’d be nice to have the option of using it either way, and with perma-jibs you’re stuck with the jug, as it were. Also, the logo on all of these is a big crest, and everyone felt it was a bit much. Despite those small things, the mix seems solid, the lines are clean, and so far (as of the comp) they worked well. I’ll post more once we’ve set with them a bit. 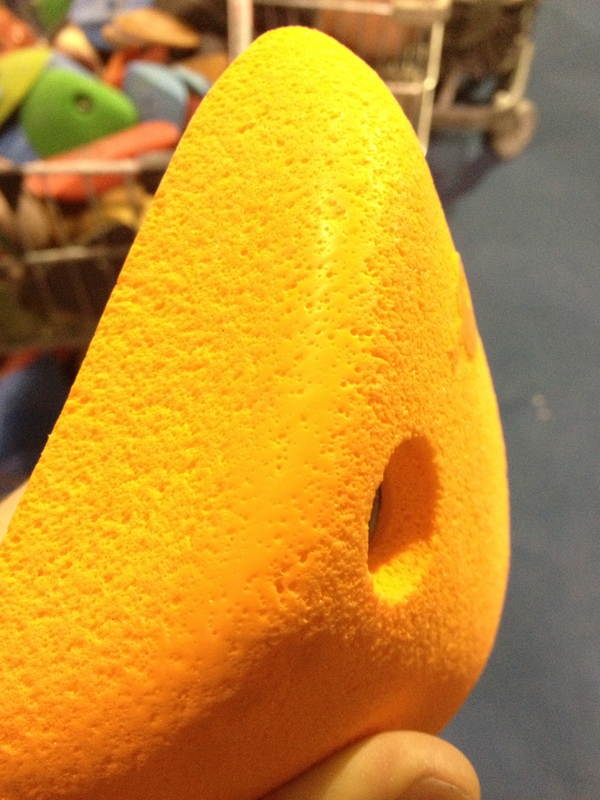 Categories: 2013, 2013 Hold Reviews, Atxarte, Etch, Holds, New Holds! 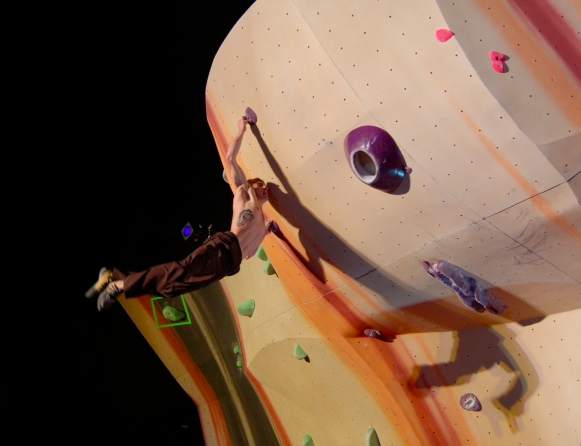 New Holds – Capital Climbing! In packaging. Poured/shipped by Element. 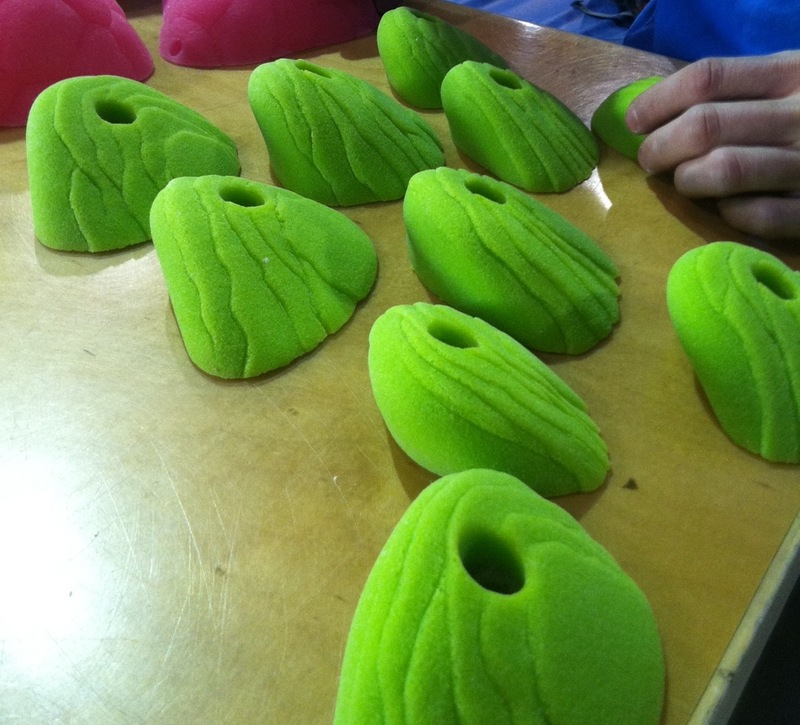 Hold shaper Chris Neal sent us some new holds to check out from his new company Capital Climbing. 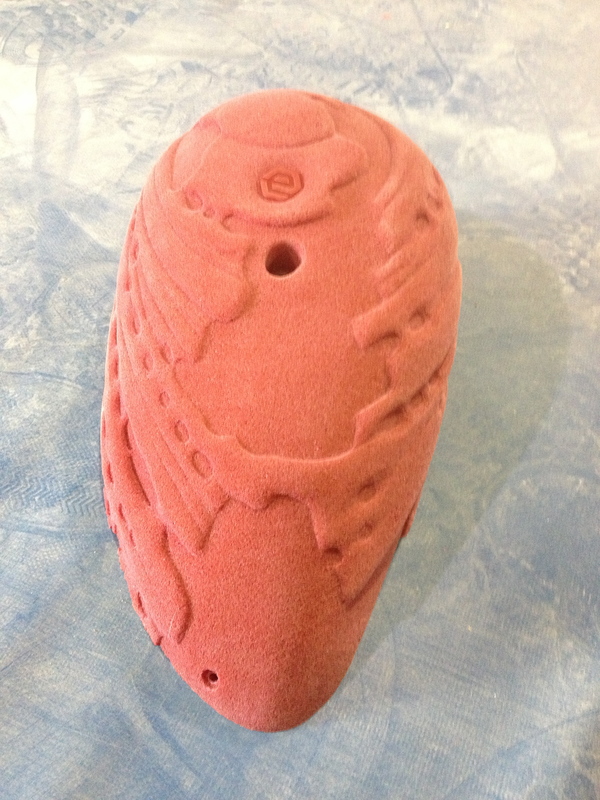 Here are some pictures of the holds, and where to find ’em on the walls to check ’em out. We’ll report back with a more thorough review (and the names of the sets) in the near future. Pink Font Slopers. You can find one on the Beach and the other four on a cool outward-facing problem in the scoop just left of the River arete. 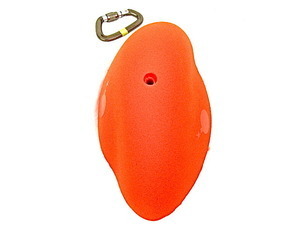 You can find these on the River, on a yellow problem mid-right river, a pink 4 by the river arete, and on a dark green 5- that runs across the left river. Another shot of it with a wrench for size. The feature is on the River as well, just right of the arete about head-height on the pink problem that also has two of the green edges on it. First impressions are very positive. 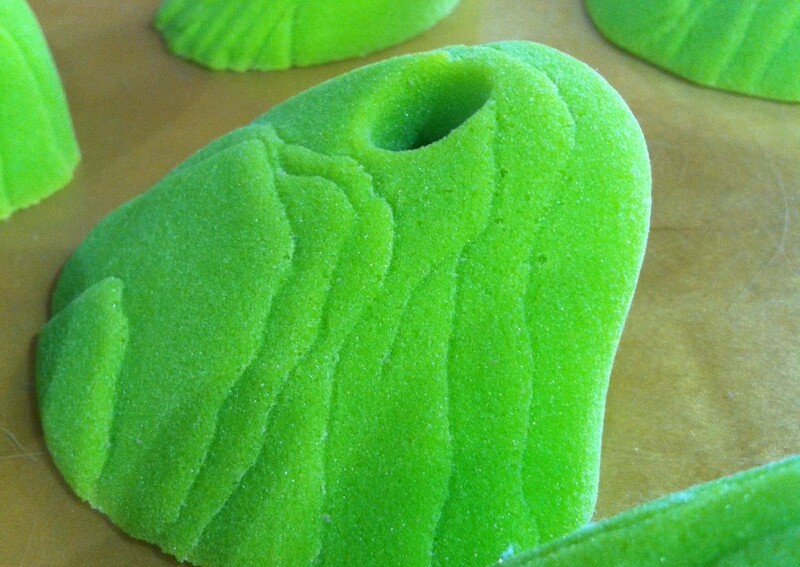 The texture of the holds is great, the shapes are comfortable and professional, and they are poured by Element, which we’ve had good luck with so far. The edges are a bit softer than an Aragon hold, but nothing we’re concerned about. All in all an impressive offering from a brand-new company. 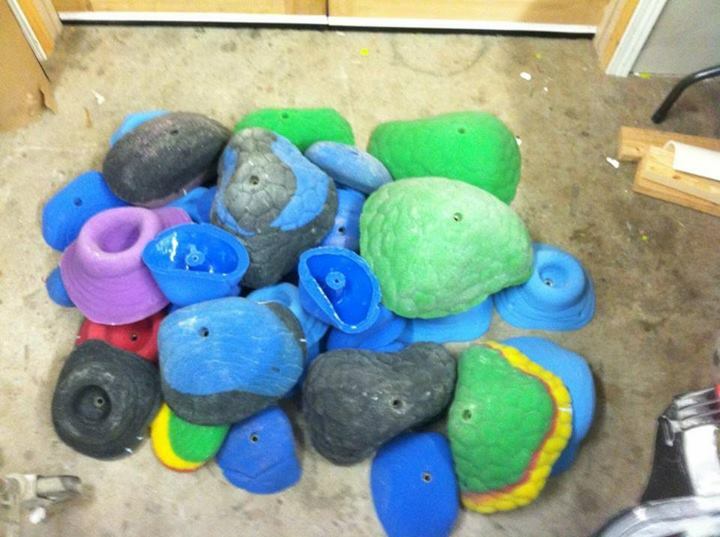 Check out the holds and let us know what you think!